Hayward provides the finest and very latest in pool filter technology ensuring your pool water is clean and clear. 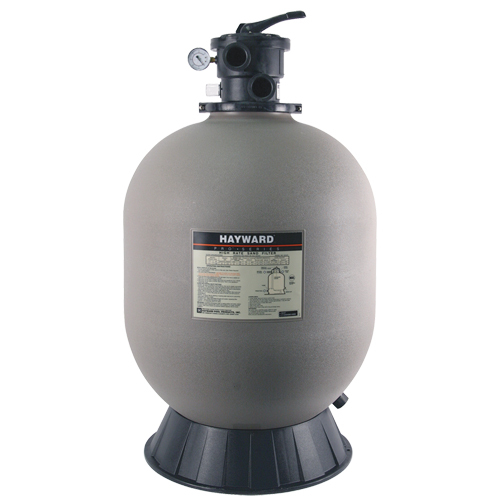 Every Hayward filter features simplistic operation and low maintenance requirements that have set new industry standards for performance, value and dependability. Molded of tough, durable and colorfast reinforced thermo-plastics, Hayward filters deliver reliable, all-weather performance making pool care easy. Find out today which pool filter system is right for you and your pool. ProSeries high-rate sand filters are high performance, totally corrosion-proof, unitised tank constructed filters that blend superior flow characteristics and features with ease of operation. For multiple applications, the ProSeries represents the very latest in sand filter technology and will provide clear, sparkling water for years to come. Other filters include SwimPro sand filters, StarClear Plus cartridge filters and SwimClear cartridge filters, all available in various sizes.